Bike Pic May 25, yeah its Friday are you excited for a long weekend? Yeah its Friday, another beautiful day for a ride or preparing for that #NextBikeAdvenure, this Memorial Day Weekend. 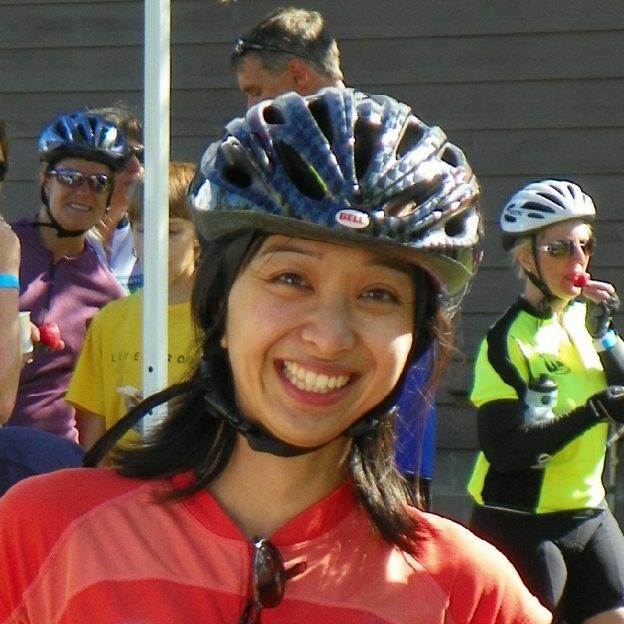 Here in this photo we caught this biker chick taking a break from her ride at a farmers market. This entry was posted in Picture of the Day and tagged bike commute, Bike Iowa, bike maps, bike minnesota, bike picture, bike tips, bike touring, bike tourism, farmers markets, Iowa bike guide, Minnesota Bike Guide, Road Biking Minnesota, warm weather bike gear on May 25, 2018 by Russ Lowthian. 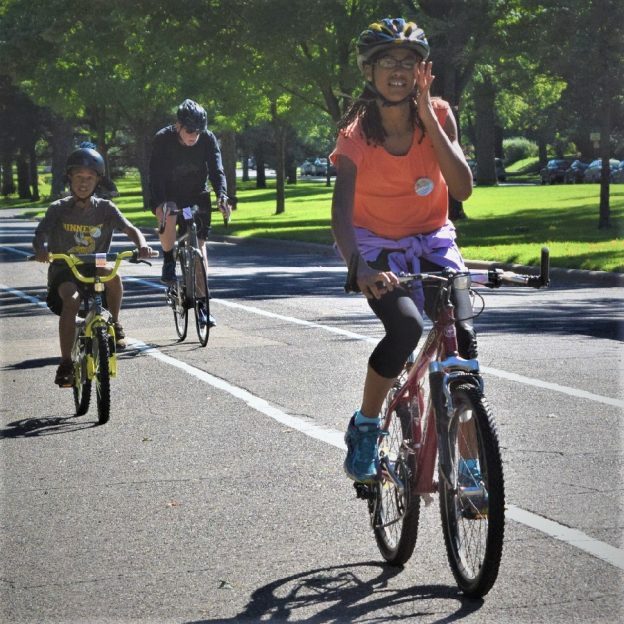 This entry was posted in Picture of the Day and tagged bike commute, bike maps, bike minnesota, bike picture, bike tips, bike touring, bike tourism, Minnesota Bike Guide, Minnesota trails, Road Biking Minnesota, Saint Paul Classic Bike Tour, St Paul MN, Summit Avenue Cruise, warm weather bike gear on May 22, 2018 by Russ Lowthian. 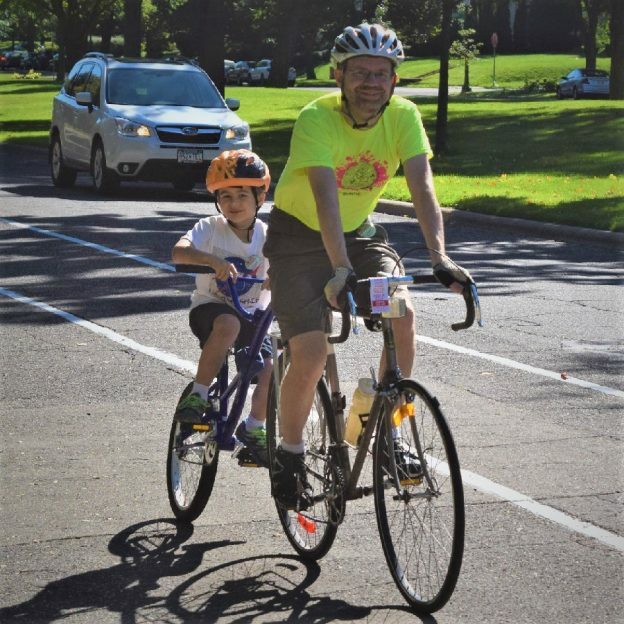 Fond summer memories riding the Saint Paul Classic Bicycle Tour, as this family of cyclists demonstrates riding down Summit Avenue, in St Paul’s historic district. 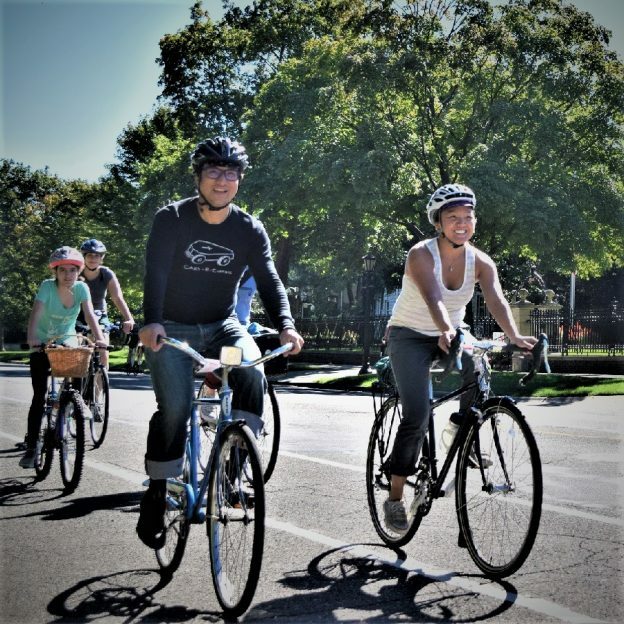 This entry was posted in Picture of the Day and tagged bike commute, bike maps, bike minnesota, bike picture, bike tips, bike touring, bike tourism, Minnesota Bike Guide, Minnesota trails, Road Biking Minnesota, Saint Paul Classic Bike Tour, St Paul MN, Summit Avenue Cruise, warm weather bike gear on March 1, 2018 by Russ Lowthian. This entry was posted in Picture of the Day and tagged bike commute, bike maps, bike minnesota, bike picture, bike tips, bike touring, bike tourism, Minnesota Bike Guide, Minnesota trails, Road Biking Minnesota, Saint Paul Classic Bike Tour, St Paul MN, Summit Avenue Cruise, warm weather bike gear on February 27, 2018 by Russ Lowthian. 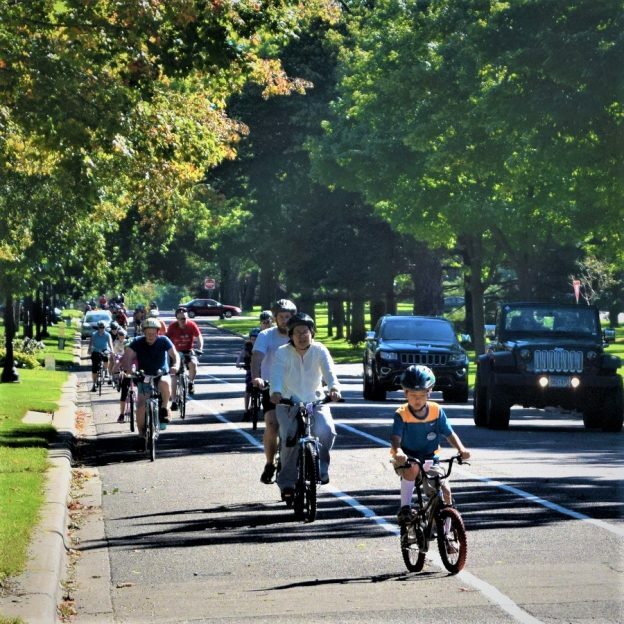 This entry was posted in Picture of the Day and tagged bike commute, bike maps, bike minnesota, bike picture, bike tips, bike touring, bike tourism, Minnesota Bike Guide, Minnesota trails, Road Biking Minnesota, Saint Paul Classic Bike Tour, St Paul MN, Summit Avenue Cruise, warm weather bike gear on February 17, 2018 by Russ Lowthian. 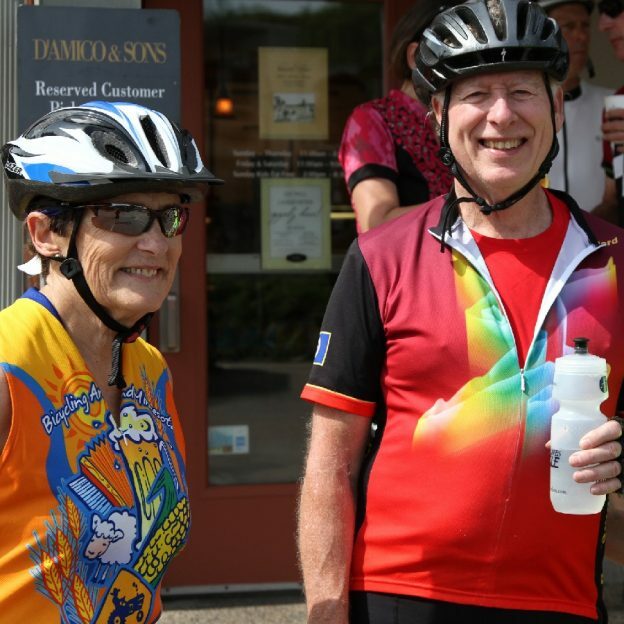 Fond summer memories were enjoyed by this biker couple on the 4th of July Tour D’Amico Bicycle Tour last year summer. 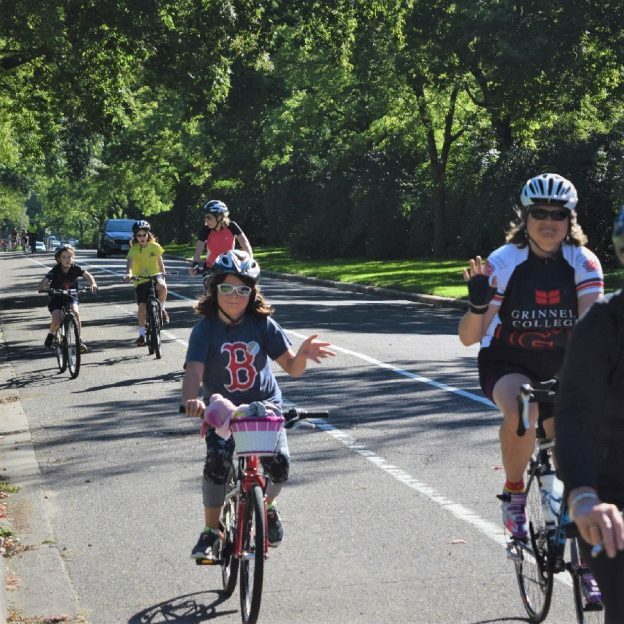 This year’s 19th annual tour offers several new scenic routes through the Twin Cities western suburbs. 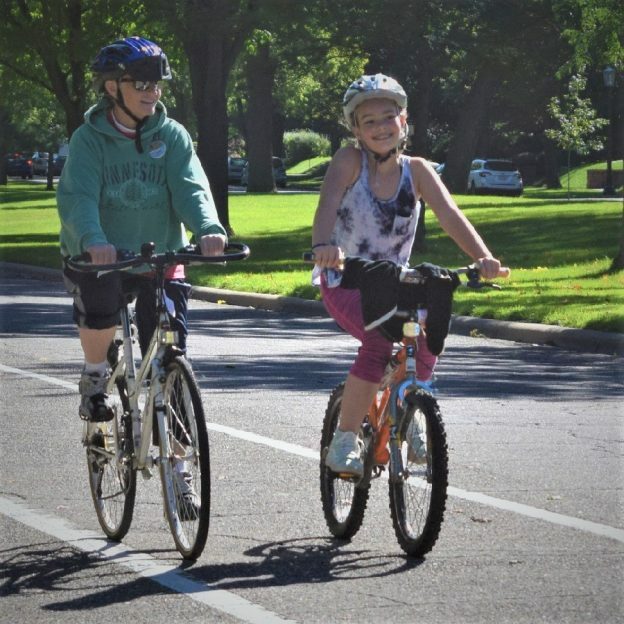 This entry was posted in Picture of the Day and tagged bike commute, bike maps, bike minnesota, bike picture, bike tips, bike touring, bike tourism, Golden Valley, HBC. 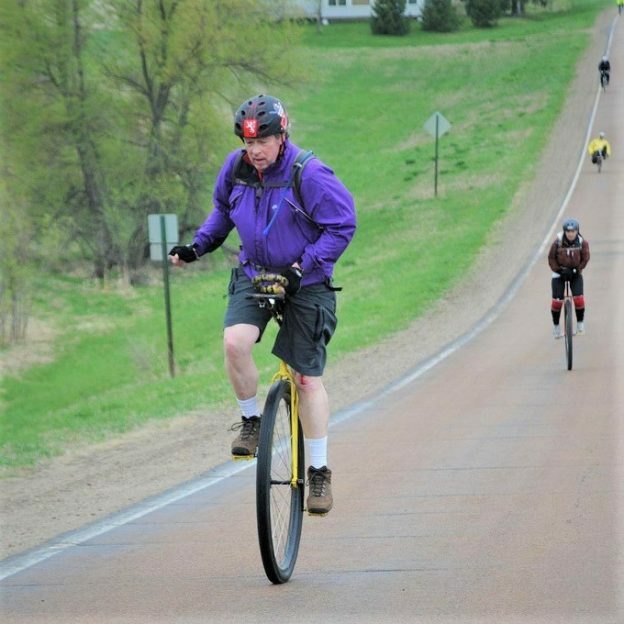 Hiawatha Bicycling Club, Minnesota Bike Guide, Minnesota trails, Road Biking Minnesota, Tour D' Amico on February 15, 2018 by Russ Lowthian. 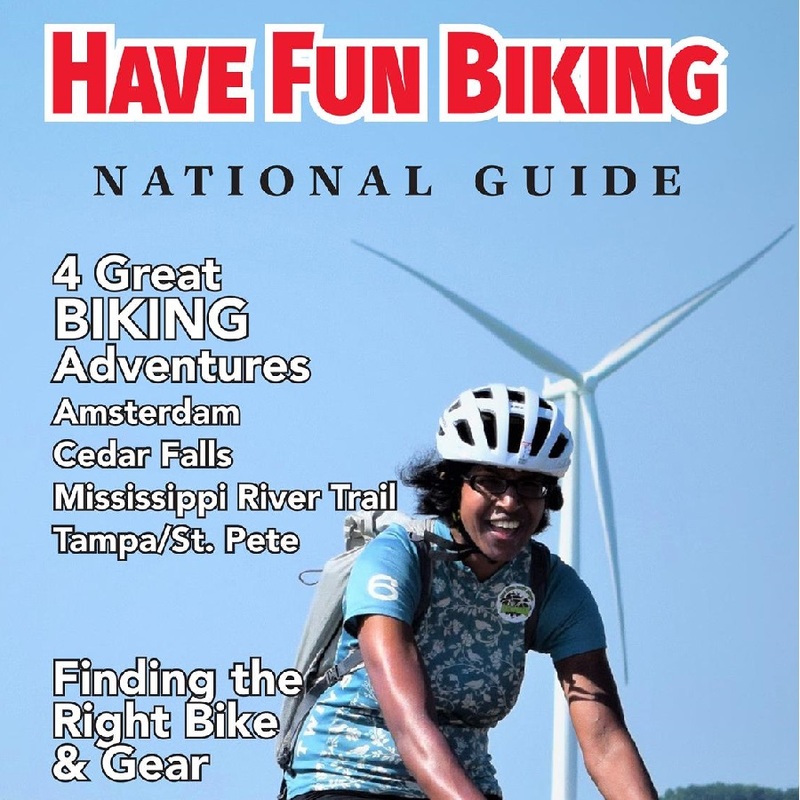 This entry was posted in News and tagged bike commute, bike maps, bike minnesota, bike picture, bike tips, bike touring, bike tourism, Golden Valley, HBC. 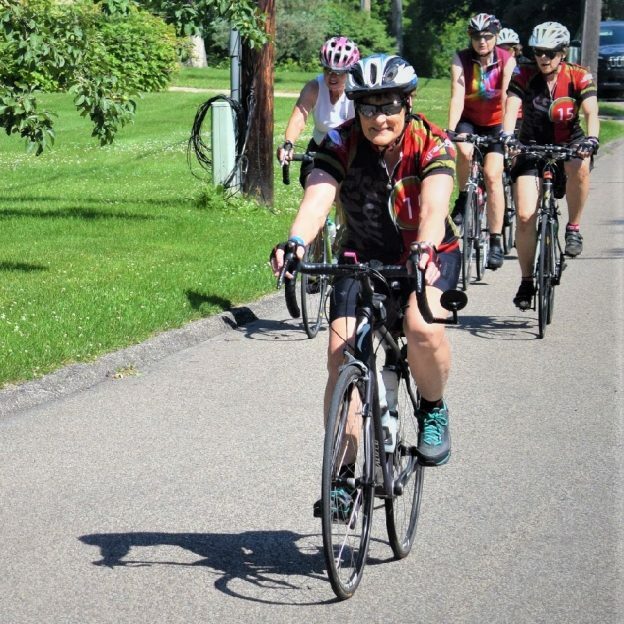 Hiawatha Bicycling Club, Minnesota Bike Guide, Minnesota trails, Road Biking Minnesota, Tour D' Amico on February 7, 2018 by Russ Lowthian.